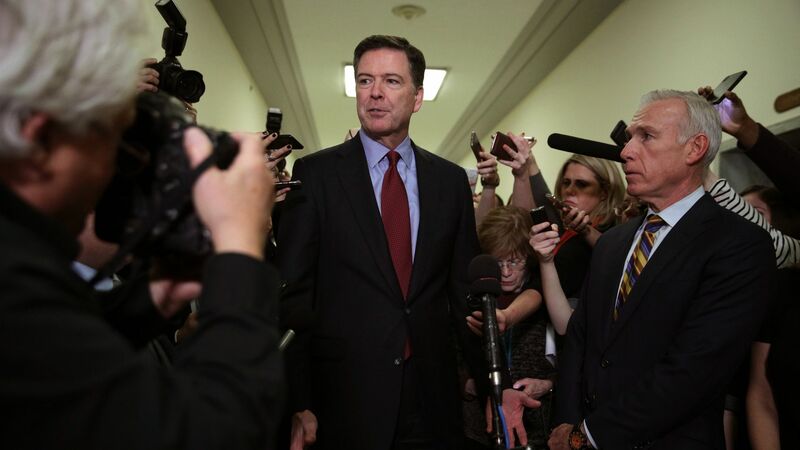 Former FBI Director James Comey pushed back Tuesday night against Attorney General William Barr's decision to not pursue obstruction charges against President Trump, which Barr made clear in his explanatory letter on Robert Muller's final report, per NBC. "The notion that obstruction cases are somehow undermined by the absence of proof of an underlying crime, that is not my experience in 40 years of doing this nor is it the Department of Justice's tradition. Obstruction crimes matter without regard to what you prove about the underlying crime." "I can't quite understand what's going on with the obstruction stuff. ... I have great faith in Bob Mueller, but I just can't tell from the letter why didn't he decide these questions when the entire rationale for a special counsel is to make sure the politicals aren’t making the key charging decisions." Comey wrote in a NYT op-ed last Thursday that he doesn't care about Muller's conclusion on whether Trump conspired with Russia in the 2016 election or obstructed justice — he believes Trump is unfit for the presidency either way. Comey supervised the start of the special counsel's Russia probe before being fired by Trump in 2017. What's next: Senate Judiciary Committee Chairman Lindsey Graham (R-S.C.), said on Sunday he plans to question Comey after the release of Mueller's report.